I'm now redoing the list of who would like to see it next - the old list was, well, old. 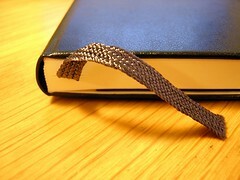 If you would like to see the Moleskine at some point, leave a comment to this entry. b. get the Moleskine back to see what's been written in it! Woo! Seriously though, I'm in no hurry to get it back until it's full. Long may it travel! It's been travelling for a shade over three years now. I'm quite impressed that I still know where it is! done! You're in the UK, yes? does anyone say 'please' any more? I've been waiting *ages* I have. so have two-thirds of the original list! Hey -- me! :) I've been waiting for this sucker since high school. I did warn everyone that it might take a while. well I'm still wanting to put my mark on it.. Please can I stay on the list. yup, you were on the original list. I was just checking that everyone on there still wanted to be on there. So far, less than half the original list (14/32) have signed up to the new list.